NEW YORK, September 26, 2018 /3BL Media/ – The International WELL Building InstituteTM (IWBITM ) has announced the first participants in WELL PortfolioTM , a new streamlined pathway for WELL CertificationTM for multiple new or existing buildings and tenant spaces in a single portfolio. Being released as part of the WELL v2TM pilot, the latest iteration of the WELL Building StandardTM (WELLTM ), it is part of a suite of enhancements to WELL that addresses growing demand across the building industry for a program that helps owners, developers and tenants streamline and scale health and wellness upgrades to their real estate assets. The announcement quickly followed the launch of WELL v2, the second iteration of IWBI’s pioneering WELL Building Standard. The addition of an early phase review process enabling projects to seek the WELL D&OTM designation, introduced in WELL v2, allows portfolio projects to move through the certification process in a more streamlined and systematic fashion across their asset base, with a specific focus on policies, programs and procurement guidelines. The WELL Portfolio Pathway will encourage owners to treat achieving WELL as a journey and not a destination, and to make incremental improvements across their portfolios over time, tracking their progress along the way. 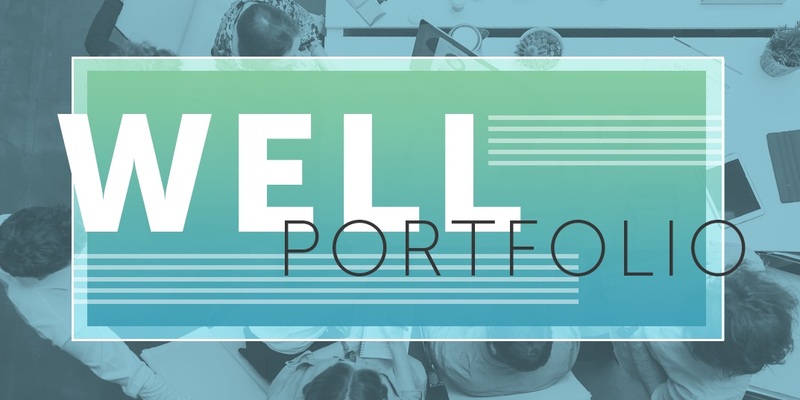 Tenants, developers and investors from Europe, North America, Australia and Asia have all expressed interest in pursuing the WELL Portfolio Pathway. Many have already used WELL for individual buildings and are now looking to bring the same value and evidence-based performance to their portfolios – exemplifying their commitment to improve the health and wellness of people at scale. Following roundtables, expert-led discussions and stakeholder engagement, organizations from across the globe have committed to piloting a sample portfolio of qualifying buildings. Their hands-on participation in the development of this pathway through the pilot process assures a program that will deliver immediate and measureable benefits to both these early adopters and those who come after. Fedrizzi noted that allowing for a phased implementation of WELL features across multiple buildings in a portfolio can be more efficient and also provide additional flexibility in the ways that owners and landlords can pursue WELL Certification. To enhance efficiency and flexibility, WELL Portfolio Pathway projects will receive custom scorecards, adapted for their respective building portfolios, and will be guided to make portfolio improvements over time. Building owners will also be able to benchmark health and wellness-related building performance, both across their own portfolios and relative to peer portfolios. Since human and environmental sustainability go hand-in-hand, the WELL Building Standard is designed to be interoperable with leading global green building standards. Developers and property managers who have already made a green building commitment, using LEED, BREEAM, Green Star or Living Building Challenge, for instance, are well-positioned to reap the vast opportunities WELL Certified™ buildings provide. “Whether it’s building owners looking to further differentiate their spaces to make them more attractive to tenants, or a company looking to retain and attract talent, enhance employee productivity or potentially reduce health care costs, the benefits that come with healthier, more productive employees should far outweigh the one-time investment in building improvements. WELL’s proven performance has become the de facto choice for leaders around the world who want for themselves and their tenants places and spaces designed to deliver immediate and measurable health benefits for every person in the building,” said Fedrizzi. "Our participation in the WELL Portfolio Pilot, which integrates employee health and wellness elements into building design, is a natural fit with Prologis’ innovative approach to environmental stewardship, social responsibility and governance," said Grant Stevens, Managing Director, Global Construction and Development Services, Prologis. "Buildings constructed to the highest sustainable design standards not only reduce operating costs for our customers and our company but also promote employee wellness and productivity." “The spaces where we live, work, play, learn and heal have a huge impact on our lives. Their design – as well as the products that go into them – play an important role in how we function every day,” said Susan Farris, Vice President of Sustainability and Corporate Communications at Shaw. “Through our commitment to Cradle to Cradle design principles for the past 20 years, that has been a keen area of focus for us. Our participation in the WELL Portfolio further exemplifies our commitment to human health and wellness through the built environment. Like so many of our clients, we recognize the opportunity to help people thrive and innovate through the safe, healthy workspaces we provide our associates,” Farris continued. The International WELL Building Institute (IWBI) is leading the global movement to transform our buildings and communities in ways that help people thrive. The WELL v2 pilot is a recently launched version of its popular WELL Building Standard, along with the WELL Community Standard pilot, a district scale rating system that sets a new global benchmark for healthy communities. WELL is focused exclusively on the ways that buildings and communities, and everything in them, can improve our comfort, drive better choices, and generally enhance, not compromise, our health and wellness. IWBI convenes and mobilizes the wellness community through management of the WELL AP credential, the pursuit of applicable research, the development of educational resources, and advocacy for policies that promote health and wellness everywhere. More information on WELL can be found here.